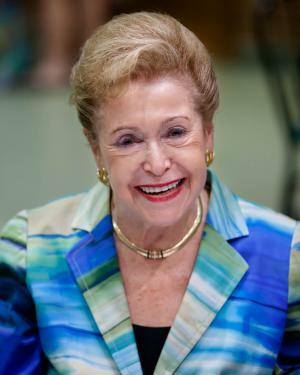 Mary Higgins Clark was born as Mary Theresa Eleanor Higgins on the 24th December 1927, in The Bronx, New York City USA, and is an author, best known for her suspense, mystery, and psychological novels. Higgins Clark has written 51 books thus far, and each of them has been a bestseller in the US and Europe. Her career started in 1975. Have you ever wondered how rich Mary Higgins Clark is, as of mid-2016? According to authoritative sources, it has been estimated that Mary Higgins Clark’s net worth is as high as $110 million, earned through her career as a writer. In addition to being a famous author with over 80 million copies sold in the US alone, Higgins Clark’s stories have been adapted for television and film, which has also improved her wealth. Mary Higgins Clark grew up in an Irish family, the only daughter of Luke and Nora Higgins and had two brothers. She started writing as a small child keeping a journal and writing her first poem at the age of seven. Her family ran an Irish pub, and the Great Depression didn’t affect them at first, but when Mary was ten years old, their financial troubles began, and Luke had to fire several employees and work longer hours. Mary found her father dead in his bed in 1939, and the family struggled even more from that point. Higgins Clark went to the Saint Francis Xavier Grammar School and won a scholarship to continue studying at the Villa Maria Academy, where she was encouraged by the principal and teachers to develop her writing. Mary worked as a switchboard operator at the Shelton Hotel to help her mother with money, while Joseph joined the Navy in 1944, but died only six months later, from spinal meningitis. Nora was then guaranteed a life pension, so she didn’t need Mary’s contribution. Mary studied at the Wood Secretarial School, and after finishing the course took a job as a secretary to the head of the creative department in Remington-Rand’s advertising division. Mary left in 1949 to worked as a flight attendant for Pan American Airlines, but then she became a housewife for the next 20 years before publishing her first novel called “Aspire to the Heavens”, but the book didn’t earn her a lot of money. However, in 1975, Mary wrote her second publication “Where Are The Children?”, and after two years sold it for $1.5 million. Mary “The Queen of Suspense” Higgins Clark has since written over 50 bestsellers, including “A Stranger is Watching” (1977), “A Cry in the Night” (1982), “While My Pretty One Sleeps” (1989), and “Remember Me” (1994). She also wrote “Pretend You Don’t See Her” (1997), “Daddy’s Little Girl” (2002), “No Place Like Home” (2005), “I Heard That Song Before” (2007), “Where Are You Now?” (2008), and “Just Take My Heart” (2009), the next one even more successful than the previous one, which only increased her net worth by a large margin. Most recently, Mary published “I’ve Got You Under My Skin” (2014), “The Cinderella Murder” (2014), “The Melody Lingers On” (2015), “All Dressed in White” (2015), and “As Time Goes By” (2016), increasing further her net worth..
Mary also wrote her autobiography – “Kitchen Privileges, A Memoir” – in 2001 and some of her books made into films include “A Stranger Is Watching” (1982), “Where Are The Children?” (1986), “Lucky Day” (2002), and “All Around The Town” (2002). Over a dozen of her novels have been adapated for television too, which has helped Mary to significantly increase her net worth. In March 2011, Mary was inducted into the Irish America Hall of Fame. Regarding her personal life, Mary Higgins Clark was married to Warren Clark from 1949 to his death in 1964, and has five children with him. In 1978, Mary married Raymond Ploetz, but the marriage was annulled in 1986. She married John J. Conheeney in 1996, and they are still together. Mary Higgins Clark has a minor share in the Brooklyn Nets, the NBA franchise. Place Of Birth The Bronx, New York, U.S.
Children Carol Higgins Clark, Patricia Higgins Clark, Marilyn Higgins Clark, David Higgins Clark, Warren Clark Jr.
1 On the passing of Elaine Kaufman: She was feisty, in the happiest sense of the word. Not mean "feisty". She was always trying to set people up. She loved it. She would sit people together. "Come on over to this table". It was delightful. She will be terribly missed. 2 On solitude: Wouldn't it be nice if everybody understood without being told that you need a certain amount of space? 3 Inducted into the 2011 New Jersey Hall of Fame for her services and contributions in literature and charities. 4 Biography/bibliography in: "Contemporary Authors". New Revision Series, Vol. 133, pp. 146-151. Farmington Hills, MI: Thomson Gale, 2005. 5 She was awarded Dame of Malta and Dame of the Order of the Holy Sepulchre. 6 She was awarded Dame of the Order of St. Gregory the Great, a Papal honor. 7 Mother of Carol Higgins Clark, two judges and a daughter who works on the Merchantile Exchange. 8 She was awarded Chevalier of the Order of Arts and Letters in France (2000). 9 Is a member of the Board of Directors for the Mystery Writers of America. Où es-tu maintenant? 2014 TV Movie novel: Where Are You Now? The Mystery Cruise 2013 TV Movie book "Santa Cruise"
1998 Lucien Barrière Literary Award Deauville Film Festival For the novel "You Belong to Me (Tu m'appartiens)".